Eliza spoke at the panels “Young Adult Fiction” and “Indonesian Literatures”, and read an excerpt of her work. To launch InterSastra’s #Defiant_Voices series and book club, Eliza invited readers to come together, read, and discuss controversial or banned works. Kursus ini menghadirkan A.S. Laksana, Eliza Vitri Handayani, dan Margareta Astaman sebagai fasilitator, melatih para peserta yang berasal dari berbagai kalangan dan profesi untuk terjun ke dalam dunia penulisan fiksi tentang kehidupan urban, dan mengemas isu-isu khas urban seperti gejolak politik, benturan antargolongan dalam masyarakat, krisis identitas, dan gaya hidup anak muda perkotaan. Semua dibahas dengan segar, kritis, dan kreatif. 26 August-17 September 2016 Eliza had the opportunity to tour Melbourne, Sydney, and Adelaide to promote her novel From Now On Everything Will Be Different. At MWF 2016 Eliza spoke at the panels Muslim Feminism, Protest & Rebellion, and Writers Across Borders. She was also one of the surprise guests at Dumbo Feather’s Caravan Conversation. Featured writers include Nina d’Alessandro, Eliza Vitri Handayani, Elizabeth Hazen, Jenine Holmes, Lisa Kirchner, Stephen Massimilla, James Polchin, Ron Singer, and Dean Wrzeszcz. At the Northern Territory Writers Festival, Darwin, Australia, Eliza read an excerpt from a new work-in-progress, and talked in the panels “A Focus on New Indonesian Literature” and “Family Recipe”. 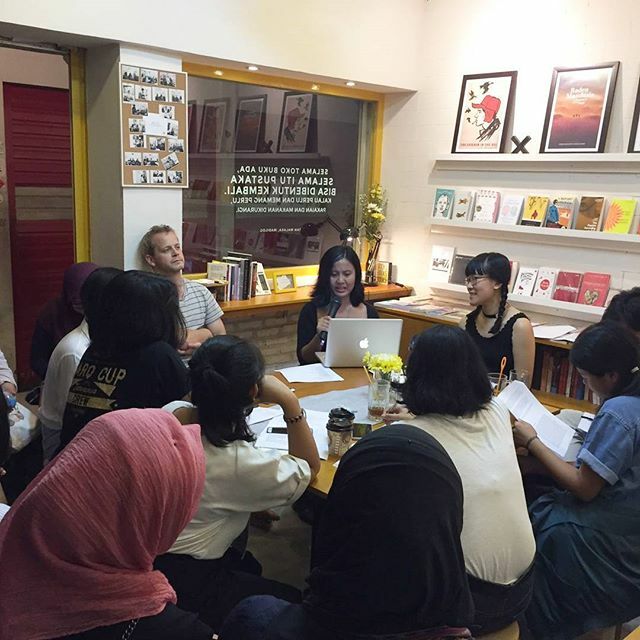 Eliza held a workshop on writing about traumatic experiences at Post, a charming independent bookstore at Pasar Santa, Jakarta. Eliza participated in WrICE, a residency and fellowship program of cultural immersion and exchange, run by the non/fictionLab at RMIT University. At the invitation of Professor Melani Budianta, Eliza Vitri Handayani spoke to creative writing students at the University of Indonesia. At the launch of Tika & the Dissidents’ new album Merah, which aims to reclaim women’s authority over their own bodies, Eliza read an excerpt from a short story. Launch of From Now On Everything Will Be Different. Dramatic reading by Kartika Jahja & Dinda Kanyadewi. Discussion with Olin Monteiro & Jewel Topsfield. MC: Sakdiyah Ma’ruf. Launch of From Now On Everything Will Be Different, 31 October, introduced by Sofie Laguna, this year’s winner of the Miles Franklin Literary Award. NOTE: EVENT CANCELED. 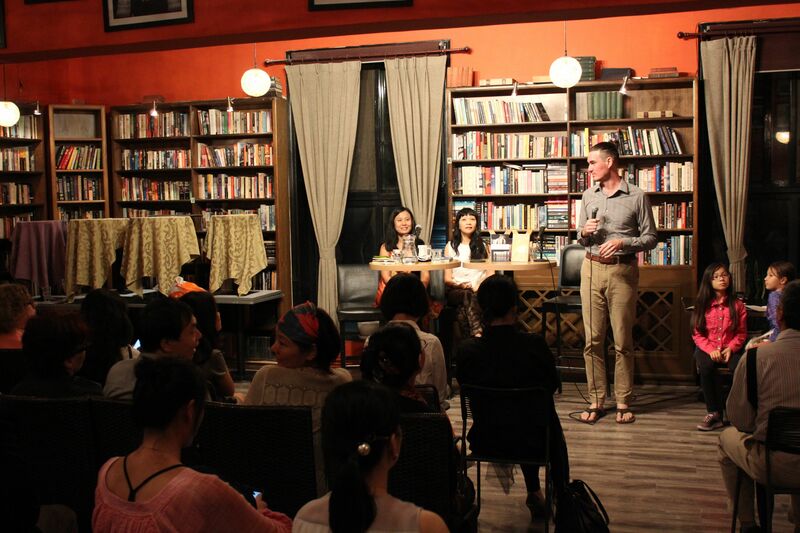 Launch of From Now On Everything Will Be Different at the Frankfurt Book Fair, part of Indonesia’s showcase as the festival’s Guest of Honour, 17 October. Launch of From Now On Everything Will Be Different at Eldorado Bookstore. Launches of Hong Ying’s I Too Am Salammbo and Eliza Vitri Handayani’s From Now On Everything Will Be Different. Bincang buku Mulai Saat Ini Segalanya Akan Berubah di Universitas Padjadjaran. Peluncuran novel Mulai Saat Ini Segalanya Akan Berubah di kantor Yayasan Obor.